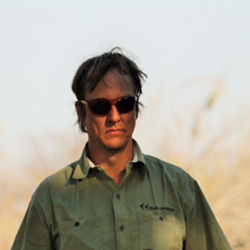 On 16th August 2017, conservationist Wayne Lotter was shot dead in the Masaki district of Dar es Salaam, Tanzania. As a founding member of PAMS Foundation – the African NGO that fights poaching and wildlife crime – his murder in the line of duty was a devastating blow for the world of conservation. But for the many inspired by Wayne’s tireless work, it also strengthened determination to protect the world’s wild animals from those who seek to harm them. 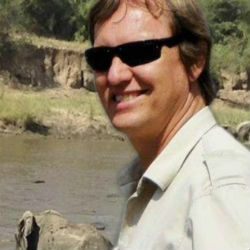 Wayne devoted his life to Africa’s wildlife. He started out as a ranger in his native South Africa and went on to work for Ezemvelo KwaZulu-Natal Wildlife as Invasive Alien Species Programme Co-ordinator, and as International Team Leader for the Selous-Niassa Wildlife Protection Corridor Project in southern Tanzania. At PAMS, his crucial work made a real impact in safeguarding Tanzania’s precious elephants. For example, when PAMS started the Ruvuma Elephant Project in southern Tanzania in 2011, poaching was at crisis level. In 2012, hundreds of carcasses were recorded, but by 2016 just two were found. Wayne died fighting for a cause he was passionate about, and he has left a legacy that will hopefully continue to protect Tanzania’s elephants for generations to come. His death is recorded on the Thin Green Line Foundation’s Roll of Honour, along with 108 other rangers who lost their lives in the line of duty in the past year. 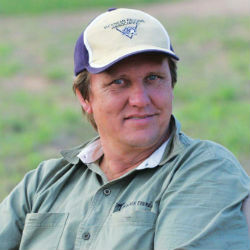 Born Free is proud to recognise Wayne posthumously as a Wildlife Hero. And his nomination is dedicated to all the brave men and women who put their lives on the line every day to preserve and protect wild animals in their natural habitat. We thank and salute them all.